The Longview News-Journal reported on Jan. 7 that NCRA member Brenda Hightower Smith, RPR, CRR, from Longview, Texas, earned the nationally recognized Certified Realtime Reporter certification. The article was generated by a press release issued by NCRA on Smith’s behalf. Professionals seeking to add nationally recognized certifications to their résumés can choose from several opportunities to work toward them at the 2017 NCRA Convention & Expo being held Aug. 10-13 at the Planet Hollywood Resort & Casino in Las Vegas, Nev.
Programs and certifications opportunities available this year include the Certified Realtime Reporter (CRR), Certified Realtime Captioner (CRC), Certified Reporting Instructor (CRI), and Certified Legal Video Specialist (CLVS). Note that many certifications require multiple steps to earn, so one or more components of testing may not be available during convention. For those interested in learning how to pass the CRR, a three-hour long boot camp is available on Aug. 12. The CRR is recognized in the industry as the national certification of realtime competency. Taught by Kathryn Sweeney, FAPR, RMR, CRR, who helped develop the boot camp program, the course has enabled many to successfully pass the test on the first take. Sweeney is a freelance reporter and agency owner from Action, Mass. In the course, Sweeney explains the testing requirements, covers NCRA’s What is an Error?, discusses what is not an error, and talks about the new online testing process. She also offers tips for self-preparation, including what to have on test day, what to do and not do on test day, and how and why candidates fail. Participants in the session should bring their equipment with them so they can take a couple of practice tests and learn how to adjust their system settings and dictionary entries. Skills testing for the CRR is offered online. “I strongly believe taking the CRR Boot Camp will increase the chance of passing this test. When I finished my presentation in Georgia, a woman who already had her CRR came up to me and said that she wished this seminar was around when she was preparing for the test; that it had all of the information and steps that she muddled through on her own. She said it took years of figuring out what was being asked of her and then changing her writing and learning her equipment and software in order to pass,” Sweeney said. 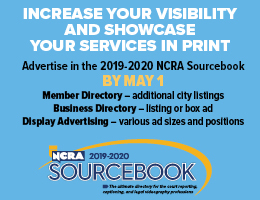 “With this boot camp, I can help you in three hours,” added Sweeney, who also served as a beta tester for NCRA’s online testing system and as CRR Chief Examiner on behalf of the Association for 17 years. Leading the workshop are: Deanna Baker, FAPR, RMR, a broadcast captioner from Flagstaff, Ariz.; LeAnn Hibler, RMR, CRR, CRC, a CART captioner from Joliet, Ill.; Karyn Menck, RDR, CRR, CRC, a CART captioner from Nashville, Tenn.; and Heidi Thomas, FARP, RDR, CRR, CRC, a CART captioner from Acworth, Ga. Educators interested in earning the CRI can attend a two-day Workshop, Aug. 10-11, designed to expand their level of knowledge for becoming more effective realtime reporting instructors. The Workshop covers information about the learning process, how to develop court reporting syllabi and lesson plans, and how role playing a variety of courtroom scenarios can aid students’ understanding. 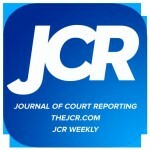 “The CRI credential demonstrates excellence and dedication in teaching, assuring students they are benefiting from the best instructors available and others that the court reporting profession is in good hands as those learners prepare to continue the noble and fine work of court reporters and captioners everywhere,” she added. Participants interested in earning the CLVS certification can attend the required three-day seminar from Aug. 11-13. The CLVS production exam is also available on Aug. 11 and 12, for those who are qualified. The CLVS program sets and enforces standards for competency in the capture, utilization, and retention of legal video and promotes awareness of these standards within the legal marketplace. Legal videographers often partner with court reporters to ensure the integrity of both the video of legal proceedings and the official transcript. 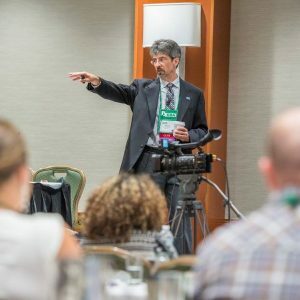 “Attending at the CLVS Seminar is beneficial to both experienced legal videographers as well as novices to the profession,” said Jason Levin, CLVS, with Virginia Media Group, Washington, D.C. Levin is one of the instructors leading the seminar. “Our goal is to prepare videographers for the production and written exams, and on the last day of the seminar we actually conduct mock depositions where the attendees can operate the equipment in a deposition environment. Earning the CLVS certification sets yourself apart from noncertified videographers. 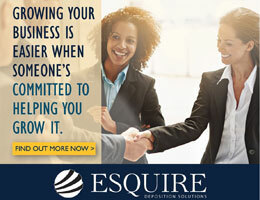 The networking opportunities of attending an event like this are well worth the investment,” he added. Don’t miss the savings on lodging at Planet Hollywood Resort & Casino, the host hotel for the 2017 Convention. Attendees who register to stay at Planet Hollywood on Friday and Saturday nights are eligible for free breakfast and to win one of six new Kindle Fire tablets in a giveaway. Visit NCRA.org/Convention to register now. The Dispatch, Lexington, Ky., reported on April 24 that NCRA member Amy Brauser earned the nationally recognized Certified Realtime Reporter certification. The story was generated by a press release issued by NCRA. Professionals considering taking the Certified Realtime Reporter (CRR) test have the opportunity to gain an advantage by attending the CRR Boot Camp being offered for the first time at the NCRA Convention & Expo being held at the Chicago Hilton in Chicago, Ill., Aug. 4-7. NCRA’s CRR certification represents realtime pro­ficiency for those who earn it as it is recognized in the industry as the national certification of real­time competency. Holding the CRR also can lead to an increase in salary, as noted by a number of recent NCRA surveys. “As the CRR Chief Examiner in Massachu­setts, I saw so many candidates come back time and time again to take the certification test. It was bittersweet. They couldn’t pass, but they kept trying,” said Kathryn Sweeney, RMR, CRR, a freelance reporter and agency owner from Acton, Mass., who helped develop the boot camp pro­gram and will be teaching it at the NCRA Convention & Expo. “The idea of the boot camp came about when the Board of the Massachusetts Court Reporters Association (MCRA) approached me with ques­tions as to why there were not more people pass­ing the CRR exam and what I could do to maybe help those candidates,” said Sweeney, who also served as a beta tester for NCRA’s online testing system and as CRR Chief Examiner on behalf of the Association for 17 years. “They gave me two hours and a place to give a seminar back in October of 2009. It was originally named ‘Ready? Begin.’ Those are the two most dreaded words for even the most skilled court reporter,” Sweeney said. Because it was felt that the original name of the program might actually scare people away, it was renamed the CRR Dress Rehearsal. Over the years, however, said Sweeney, the presentation turned into a three-hour session and was appro­priately renamed again to the CRR Boot Camp. 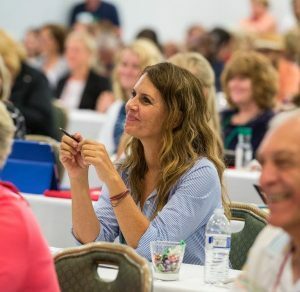 Word about the program has been spreading across states, according to Sweeney who most re­cently presented the session at the Georgia Court Reporters Convention. Other state court reporter associations have also been contacting her about presenting it at their meetings, leaving her very excited about having the opportunity to bring it to an ever wider audience. “Word finally spread to NCRA, and I was of­fered a webinar, which I gave last August. After the success of that, I was invited to their annual convention this year,” said Sweeney. 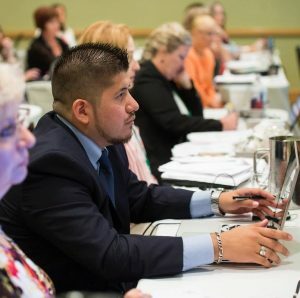 Unlike NCRA’s newest certification, the Certi­fied Realtime Captioner (CRC), which requires participation in a 10-hour workshop before being able to take the test, the CRR Boot Camp is not a prerequisite for taking the CRR test. However, said Sweeney, it can certainly help with increasing the chances of passing on the first take. In the course, she explains to attendees the testing requirements, covers NCRA’s What is an Error?, discusses what is not an error, and talks about the new online testing process. She also offers tips on working on self-preparation, includ­ing what to have on test day, what to do and not do on test day, and how and why candidates fail. Participants in the session are also asked to bring their equipment with them because Sweeney said she also lets them take a couple of practice tests, as well as manipulates the system settings and dictionary entries. “There is so much material. Even if just one thing I teach resonates with an attendee, one thing that they can go back and fix or change, it may just be the one thing that pushes them over the hump and gets them that CRR desig­nation,” said Sweeney. One reason she attributes the program’s success in helping CRR candidates be suc­cessful in passing the test is because much of the material she covers about being prepared includes information often missed, such has having flash drives or SD cards properly for­matted, which is included in the recommended reading on the testing website or contained in the pre-test emails they receive. “The most frustrating part of being the proc­tor at brick-and-mortar testing sites was that I could not help the candidates. It was simply not allowed. They were supposed to just know all this stuff. Heck, candidates showed up without their driver’s license because they didn’t know they needed to show it to me,” she said. Perhaps the greatest benefit of taking the CCR Boot Camp is that attendees will know if they’re ready to take the test or not, while those who have taken the test before will realize why they didn’t pass, she noted. Sweeney, who has been a court reporter for 25 years, is also past president of MCRA and served a total of eight years on its Board of Directors. To earn the CRR certification, professionals are required to hold the Registered Profes­sional Reporter (RPR) certification, be a current member of NCRA, and pass a realtime testi­mony skills test at 200 words per minute with 96 percent accuracy. For more information about or to register for NCRA’s CRR Boot Camp and the 2016 Convention & Expo, visit NCRA.org/meetings.